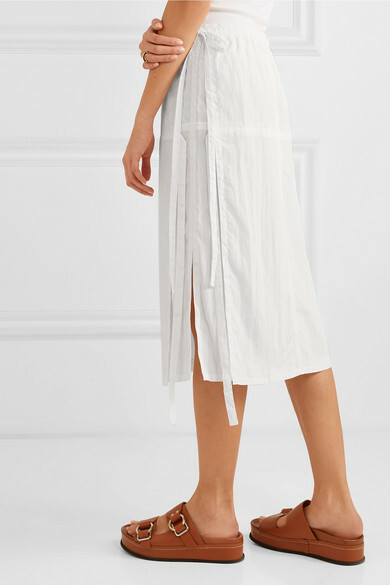 Helmut Lang's skirt is cut from white washed-crepe and falls to a midi length that'll go well with sneakers or slides come summer. 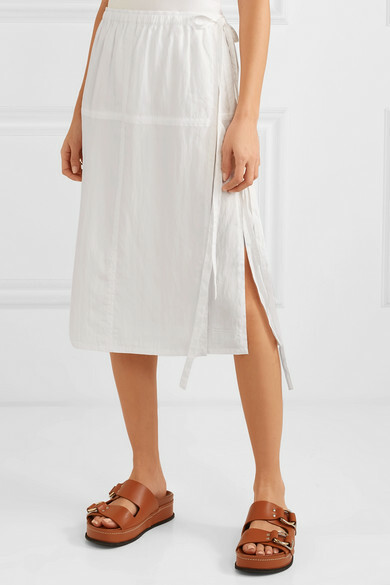 It has with a comfortable elasticated waistband and long, dangling ties at one side. Wear yours with one of the label's tops. 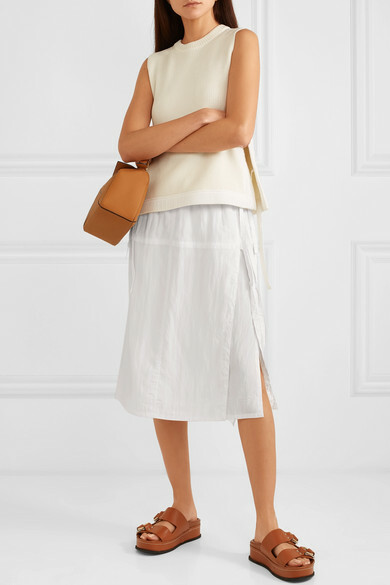 Shown here with: Loewe Shoulder bag, 3.1 Phillip Lim Slides, Sophie Buhai Earrings.